Whatever industry you are in, there is most likely a conference, trade show or convention that will be attending to promote your business. Are you curious about the best way to promote your booth using online marketing tactics? This guide was put together to show you just that! 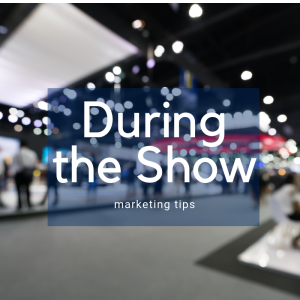 Pre-show marketing increases the quality of the audience attracted to your booth as well as the likelihood that booth visitors turn into qualified leads. Video Views promoted on LinkedIn and Google Display Network. What you need: A video to promote. Seeing as though you already have videos made, one of these can be used. Why: 81% of companies used video for marketing in 2018, compared to 63% in 2017 and with good reason. Videos are more engaging than words. Where both video and text are available on the same page, 72% of people would rather use video to learn about a product or service. LinkedIn: The social media platform just recently introduced videos as part of their advertising platform. This is a strong awareness touchpoint and allows you to cater your message to a very specific audience. Google: The Google Display Network reaches 90 percent of people using the internet through millions of websites. It also allows advertisers to promote using text, video and photos. How: Create a sponsored post on LinkedIn using video. Create a Google Display Network campaign targeting the conference search term. If you have a list of professionals that you need to reach you can also target this list of people. Link both of these ads to the landing page. What you need: A landing page designed to capture appointments for during the convention. Why: This is where you highlight your attendance at the trade show and clearly state your calls to action. Be sure to also link to the event floor plan and highlight your booth if possible and also link to any relevant press releases that you may have. 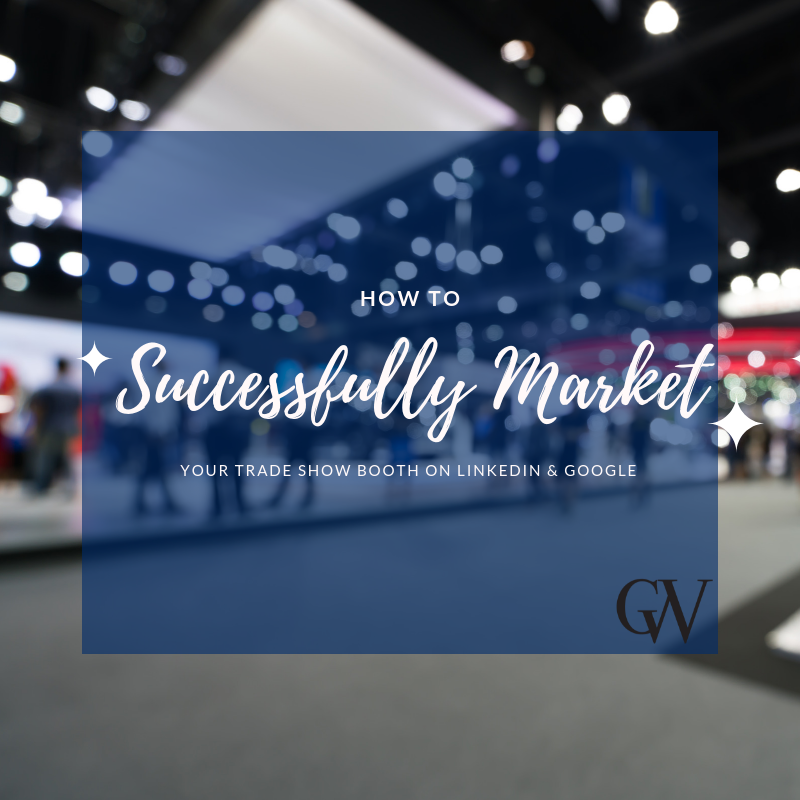 And maybe most importantly, have a booking system in place so that people can schedule appointments with you during the trade show. Paid promotion: As mentioned above, link the sponsored videos to the landing page. For organic promotion, you can also post about your event participation across your social media channels while linking to the landing page. Create a clear call to action for people to learn more or to secure their spot for a meeting during the convention. It could also be beneficial to create a second landing page specifically for media contacts. 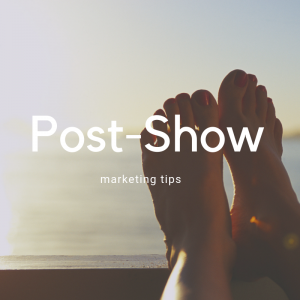 Before the show, a key priority is to make attendees aware of your brand and your attendance. This is measured by seeing how many of your qualified targets you are able to reach. Measure how many people clicked through ads to the landing page. Measures how many people viewed your video. Usually counted as a percentage of the video viewed. How many appointments are set up through the landing pages, emails, or company social media pages? Encourage interaction with your company through digital marketing. Make sure you have a lead capture system in place. This will allow you to build a personalized profile for the leads that you sale team talk to. Tell your prospects to expect a follow-up conversation from you after the convention. This will prep them to expect, and encourage them to open, the communication that you send. Digital record your booth, announcements, contests, or other interesting events during the event. What you need: Photos, videos and quotes showing a behind the scenes look at the show and your product. It would also be beneficial to create your own branded hashtag for added awareness and engagement. Why: The key purpose of posting about your attendance as an exhibitor is to give your audience a persuasive reason to stop by your booth. 2.Promote a LinkedIn post targeting the geographical area during the event. Why: It can be a way to push attendance to your booth by pushing attendance to the show while it is happening. How: Create a sponsored post and push paid promotion based on location. 3. Follow the hashtag of the show, and use a social listening tool to interact with attendees in real time. What you need: A social listening tool and someone available for digital marketing while the show is taking place. Why: It’s an easy win when it comes to promoting yourself to others interested in the event that you are attending. Plus, growing your audience helps your exposure in the long run. How: Use a social listening tool such as this one to find people actively talking about your brand, competitors, and the show in general. Then like the posts, comment on what is being said and/or follow these people as your brand. Mentions – Brand name or hashtag is mentioned online. Followers – Increase in social media followers during the show. Engagement – People clicking, commenting and liking your posts. Segment leads and create appropriate marketing funnels using marketing automation. After the show, it’s all about following up with your warm leads via marketing automation. Unless of course, for some reason, you prefer to do this manually. What you need: A marketing automation system. Popular ones are Hubspot and SalesManago. Why: Having a marketing automation process in place ensures that none of your freshly gathered leads goes bad. Instead, you can segment them and automatically follow up with them appropriately. With a marketing automation system in place, you can personalize their buyer’s journey while also saving you time through automation. How: Set up a list of hot and cold leads and establish a marketing funnel for each. 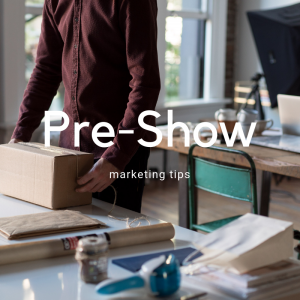 Since 30-50% of leads aren’t ready to buy when they first learn about you and your company, so it’s good to follow up with them after the show. That’s why turning these leads into customers should be your goal in the month following the trade show event.